For about $3,000*, you could be buried at Ivy Green, Bremerton’s municipal cemetery. The hallowed grounds, whose grave sites powerfully convey the history of early and mid-century Bremerton, still has about 2,000 plots left before its vacancy vanishes. On Saturday, about 130 people joined me for the latest Kitsap Sun Story Walk. 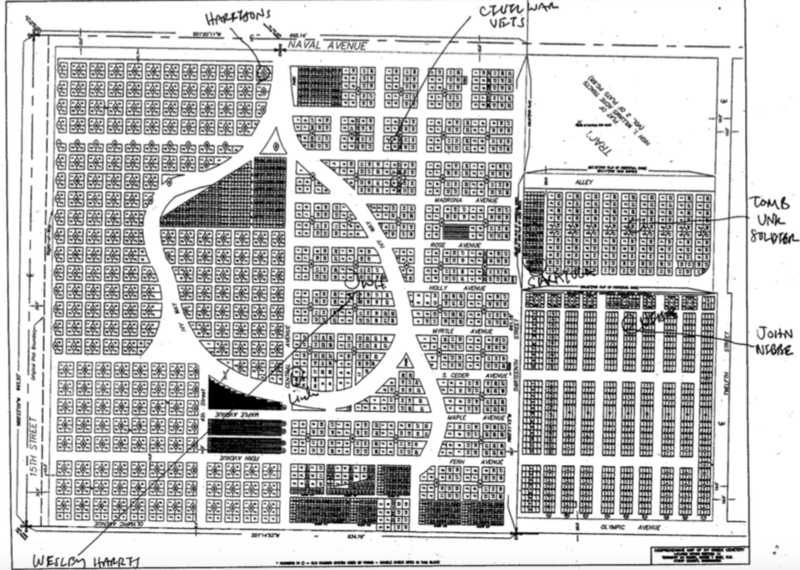 We were so fortunate to have a group of speakers with a great knowledge of the approximately 14-acre site. Here’s some of the things we learned along the way. 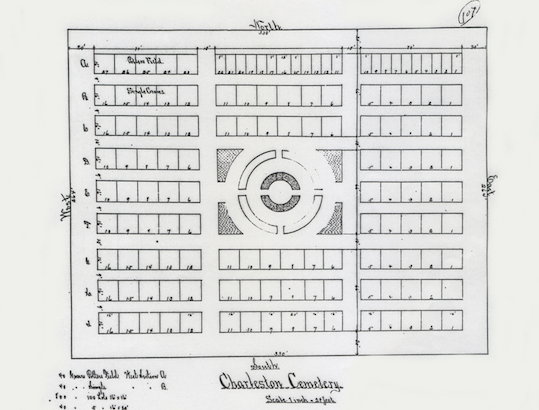 Original Charleston Cemetery map. Courtesy of Russell Warren. Ivy Green Cemetery didn’t start out as just one burial ground. It was two: Charleston, a separate city at the time, established the first burial ground in 1897. Bremerton followed five years later, according to Fredi Perry’s book “Bremerton and PSNY.” When the two cities merged in 1928, the cemeteries also became one. Ivy Green includes one of only 10 Tomb of the Unknown Soldier memorials in America, Bremerton resident and memorial preservationist Mick Hersey pointed out. Bremerton’s was born when a traveling exhibit actually stopped in the city and decided to stay for good. It’s a replica one-half the size of the original in Arlington National Cemetery. There’s differing views on when it got here, which we are trying to sort out. One last note on the Tomb: no one is buried there. The cemetery includes a Medal of Honor recipient: John Nibbe. At age 17, Nibbe stood his ground aboard the USS Peterel as Confederate forces in the Yazoo River of Mississippi fired on the ship. Just about everyone died. But not him. Awarded the honor by President Lincoln, Nibbe then set sail (via Cape Horn) for the west coast, first coming to Point White on Bainbridge Island. In 1896 he opened a general store in downtown Bremerton and also served as postmaster there. He died in 1902 of Bright’s Disease. A grave surrounded by Rhododendrons is perhaps the cemetery’s best known. It honors 64 people who died aboard the USS Saratoga when it came under heavy fire from Japanese forces during World War II in 1945. The ship limped back to Bremerton with dead sailors and marines aboard. Those who could not be identified were buried in this collective grave. Hersey explained that it was not until 1992 that the remains were identified. The cemetery is full of prominent Bremertonians of yesteryear. 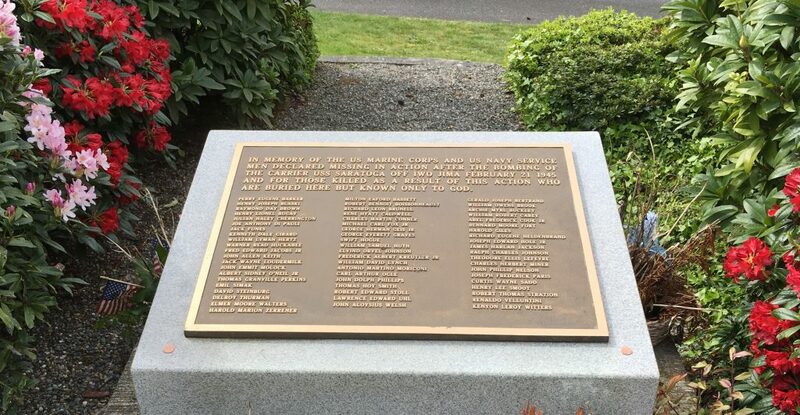 They include Benjamin and Angie Harrison, creators of the hospital that still bears their name; Charles Dietz, a businessman whose Dietz building still stands in downtown Bremerton; and Warren Smith, a prominent landowner who is the namesake of both Warren Avenue and Smith Cove in Evergreen-Rotary Park. One of my favorite things about our Story Walks is that we all learn together. It also gave me an idea: a digital map of the grave sites, something I hope we can produce in the future. If you were along, I encourage you to leave a fact or story you learned below. In the meantime, I’ll get to planning our next walk for May. *The cost of burial there is 25 percent more if you live outside city limits. Thank you Josh for the very informative and enjoyable walking tour of Ivy Green Cemetery today. Also to the historians and especially Mick Hersey for his untiring devotion to the preservation of our veterans grave sites throughout the county. I am honored to have my grandparents and great-grandparents buried there. My grandfather, Shippy B. Lent, was one of Bremerton’s first Fire Chief. 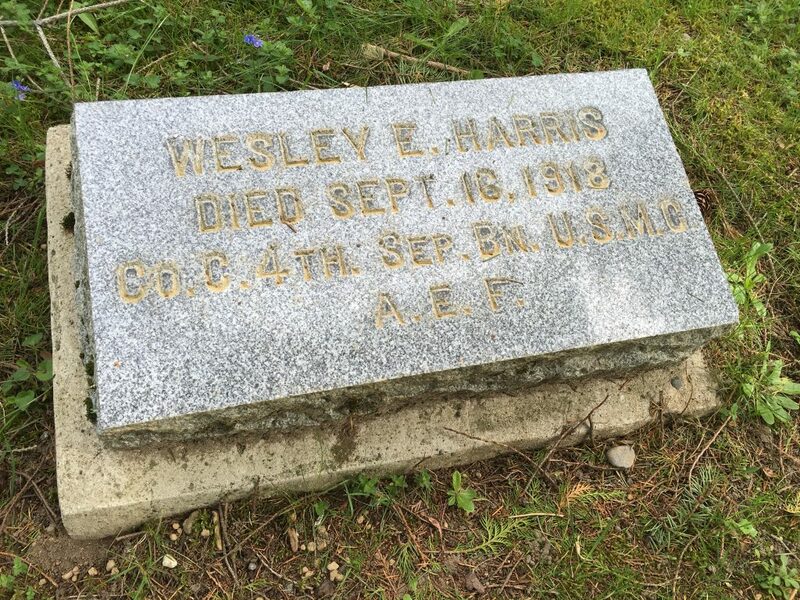 He arrived in Bremerton as a Marine in about 1900. He convinced his father and brothers to come out west and our family is still here. Looking forward to another walk. My father was proud to have worked on Saratoga repairs in the shipyard. He referred to it as a humble duty. I didn’t fully realize the significance of how he must have felt until today. He never mentioned the dead sailors aboard….. Thanks for the walk Josh! I enjoyed this article. Not only for the great information it had but also for the fact that I have a very similar name! I would love to have a map or information on this walk to take my kids on memorial day! Any chance you can share your notes? So, I just attached the best map I have of the cemetery to the post above. I’m sorry for my handwriting. But hope this helps!